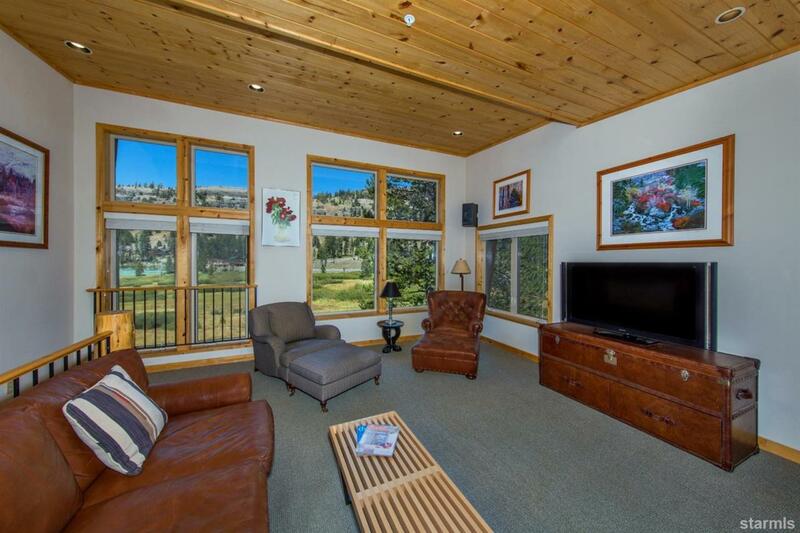 This residence has an extremely desirable location on the edge of the Kirkwood meadow and within easy walking distance to the lifts and village.Cross country skiing is out the back door! The well designed townhouse has a prime corner location with a spacious great room on the top level of the residence featuring high ceilings and expansive windows on three sides to take advantage of the spectacular meadow views and southern exposure. An updated kitchen opens on to a deck with a mountain view. Knotty pine cabinets and trim and extensive use of natural stone all combine to create that perfect rustic yet elegant mountain style. The 2 bedrooms each have their own bath and privacy on their own level and the 2 car tandem garage, laundry, abundant storage and the meadow deck are all on the bottom level. Radiant in-floor heating keeps it toasty during the winter season and along with the garage door can be remotely controlled. Low HOA dues are a bonus and include the KCA amenities! Cross Street Address Palisades Dr.